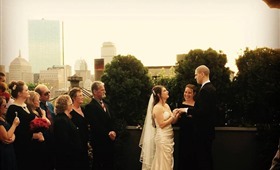 Roberta Black of Justified Love is one of the best wedding officiants you can find in the Boston area. In the following interview, she explains her ways of work as a wedding officiant and shared some memorable moments. I became a Justice of the Peace in 2012 following the footsteps of my mother who has been a Justice of the Peace for 20 years. As one of the youngest Justice's in the state, I have enjoyed being part of weddings of all different age groups, customs and traditions. 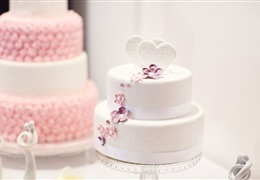 I love seeing all the different wedding themes and ideas that my couples have chosen over the years. The best part of my job is that no one wedding or couple is the same, I am always seeing something new. My typical ceremony is from 15 to 20 minutes long. My ceremonies include a love or religious based opening, depending on the couple's preferences. Couples choose two readings that can be performed by either myself or by a wedding guest of their choice. 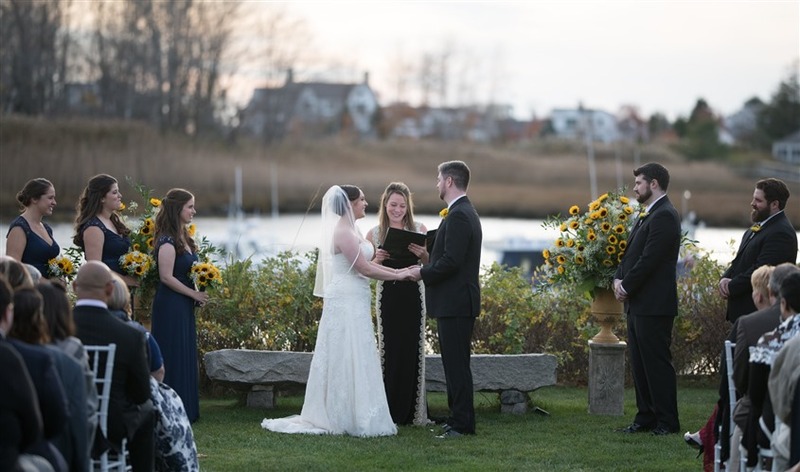 Every ceremony has legal "I Do's", which is what legally marries a couple in Massachusetts. Other things included in the ceremony are vows and a formal ring exchange. 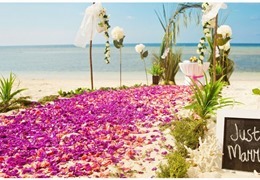 Lots of couples are now also including Unity Ceremonies, including candle lighting or sand pouring. I have a beautiful unity ceremony called the "Hand Ceremony" which is less work for the couple because it requires no additional purchasing of materials. After the readings and vows everyone ceremony has some closing words and then the pronouncement of marriage and the new couple. I always have a discussion with my couples about what they have envisioned for their vows. Most couples choose to do repeat vows in which I give them a whole list of different vows that they can choose from. Other couples choose to write their own vows and send them to me prior to the wedding so I can have them on hand to read at that time of the ceremony. 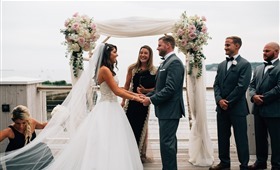 For people who know they will be nervous during their ceremony I recommend repeating vows and writing a letter to their partner to open prior to the ceremony. What information should the couple provide prior to the ceremony? The usual information that I ask my couples for is the contact information for their wedding coordinator, photographer, and DJ. These are the three main vendor contacts that I will chat with prior to the ceremony so that we are all on the same page and the ceremony can go off without a hitch. With my "I Do" packages I require all couples to meet with me prior to the ceremony so I can get to know them and their relationship. 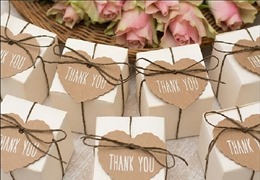 With the details I get from this meeting it is easy for me to personalize every ceremony. I also let my couples choose whatever readings they want, this gives the couple the opportunity to show the specific qualities that their relationship is built on. What is your policy toward loud/unruly guests or children? Kids will be kids. I warn my couples prior to the ceremony that anything is possible when babies and kids are attending. Honestly, I see less and less children at ceremonies at the years go on, probably because of this factor. However in situations where babies are crying or kids are being loud I tend to resort to jokes based on the situation. Most of the time I have not had trouble with children, usually the parents remove the child from the ceremony space if the child does not settle down. How have you handled family dysfunction in the past? Everyone has family drama and I am pretty sure almost all couples have something to tell me about someone in their family prior to the ceremony. I am a very go with the flow type of person whose main purpose is to satisfy my couple. Whatever they ask me to do and/or not do I am happy to oblige. It is their wedding day and I try to make sure on my end that no one gets in the way of their happiness. What was your worst moment while performing a wedding? I had some guy ask me while I was recessing down the aisle why I didn't ask if anyone objected to the marriage. I smiled politely and kept walking but for those who want to know, asking if anyone objects to the marriage is not a rule in the State of Massachusetts. What questions do couples invariably forget to ask? The most important thing for a couple to do is apply for a marriage license. This document is a must for all couples to apply for as it makes the marriage legal. The license is only valid for 60 days though so couples must apply within 60 days of their wedding date. It is very easy to apply in Massachusetts, the state no longer requires blood tests, all they need is a photo identification. Couples must apply together at any city or town hall in Massachusetts, the license takes three days to process and then one of them can go back and pick up the hard license copy. I usually collect the license the day of the ceremony but some couples choose to send it to me prior so they don't have to worry about it on the day-of. Learn more about Justified Love and see what they have to offer!